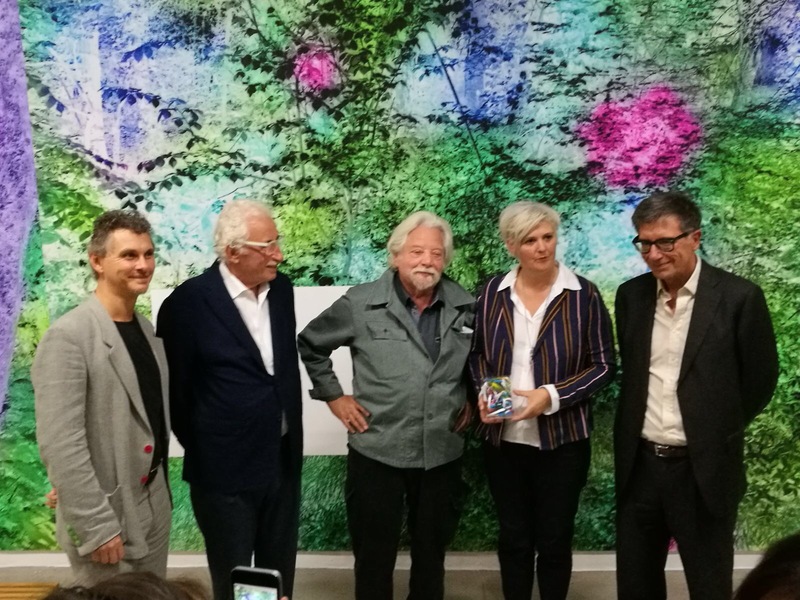 Patrizio Peterlini, Luigi Bonotto, Jean-Jacques Lebel, Caroline Bergvall ( Prix de l'année ) e il Presidente del Centre Pompidou Serge Lasvignes. 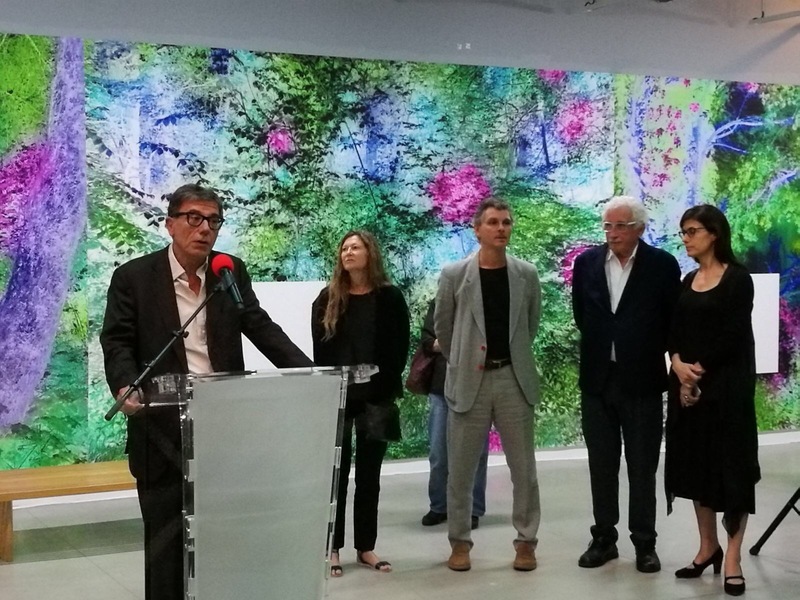 Centre Pompidou and Fondazione Bonotto are creating the Prix Littéraire Bernard Heidsieck-Centre Pompidou, the first prize to acclaim the best authors and works in this enlarged literary field. It is named after Bernard Heidsieck (1928-2014) in tribute to the poet described as the "Goncourt of sound poetry and non-book literature". This major figure in French poetry of the latter half of the 20th century produced a globally-acclaimed literary output, rapidly moving away from the book to explore sound and visual forms: "poem scores", audio poems and so on. This international prize funded by the Fondazione Bonotto and awarded at the opening of Extra !, festival of non-book literature at the Centre Pompidou, at 8.00 p.m. on 6 September, by a jury of figures representing non-book literature. 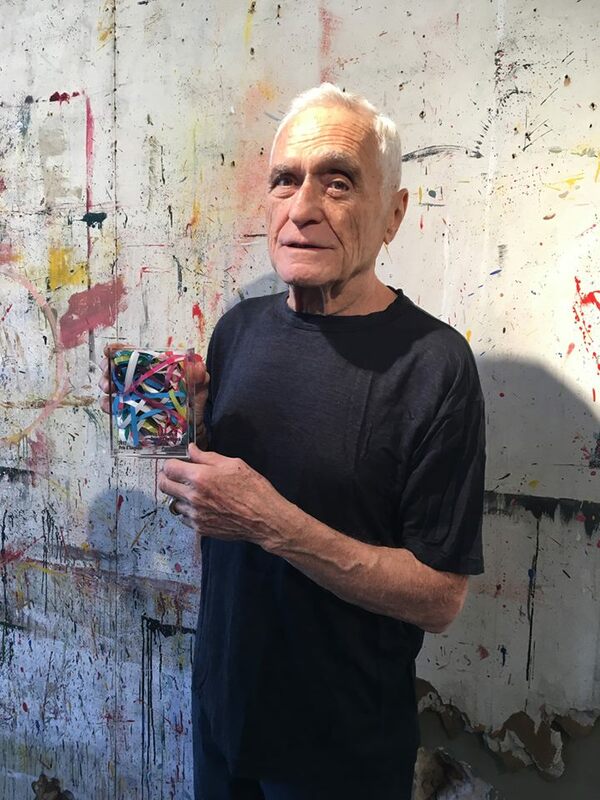 The prize is divided in three categories: Prix d'honneur, awarded to John Giorno, as author whose artistic work in general reflects the concept of literature out of the book; Prix ​​de l'année awarded to Caroline Bergvall for specific work particularly important in the field of non-book literature and La Méntion Spéciale Fondazione Bonotto, awarded to an author selected by a dedicated jury composed by Fondazione Bonotto and this year goes to the visual poet Lamberto Pignotti. For the first time, this award puts the emphasis on all the literature experimentation that has abandoned the book as a unique place of realization, highlighting the vitality and influence that these researches exert on the contemporary. 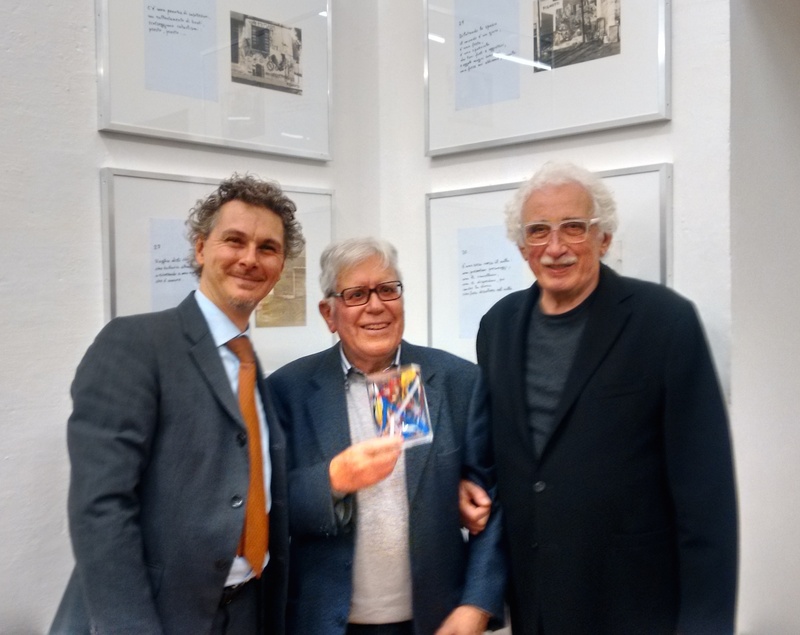 Fondazione Bonotto's support to the Prix Littéraire Bernard Heidsieck - Center Pompidou was born from the desire to give new light and relevance to this enlarged field of literature, in all its declinations and artistic expressions. It represents in fact the contemporary and diversified evolution of the artistic expressions that had their greatest development with the practices of Experimental Poetry collected by Luigi Bonotto. Jean-Max Colard, menager of service de la parole, creator of festival Extra ! William Chamay, organizer of festival Extra! Aurélie Olivier, organizer of festival Extra! Aurélie Djian, organizer of festival Extra! Magali Nachtergael, organizer of festival Extra!